My wife Susan and I moved to Scotland just over a year ago. We knew we would get good value for money in the housing market, but more importantly, we have always been admirers of its strong national identity and that it has never succumbed to the greed and selfishness that prevails in England. The openness and friendliness we have found in the Borders has not disappointed, in fact it has exceeded our expectations. Since we moved we have become strong supporters of the Scottish Independence movement. We would recommend living in Scotland to anyone, but only if you are prepared to embrace the culture that makes it that it what it is. A biproduct of the move is that our greater financial freedom meant that we could plan a foreign holiday. We decided to go to Catalonia, primarily to see the unique birdlife of the area, but also to spend some time in and around Barcelona. No-one who follows the news could be ignorant of the political problems surrounding the calls for Catalan independence, but this did not deter us. 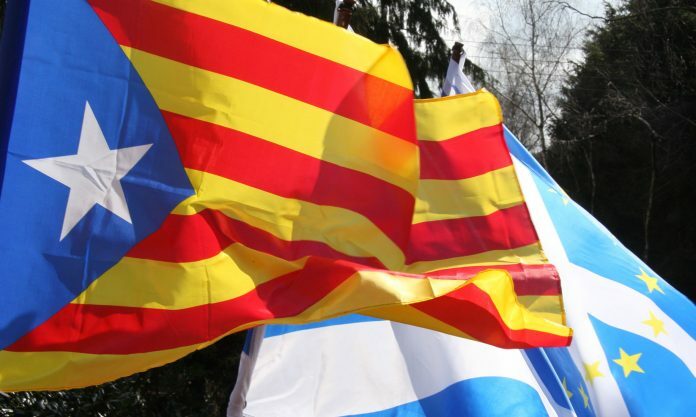 On our travels we were impressed by the number of red and yellow Catalan flags flying in the small towns and villages, many of which also bore the blue and white star of the independence movement. 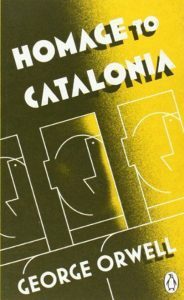 It seems that, until recently, there was an uneasy truce between the Catalan state and the national government in Madrid, but this ended when it was proposed that teaching in schools should be in Spanish, not Catalan. Local people felt that this was aimed at undermining their culture and values, something they could not accept. On our last full day in Spain we toured Barcelona, during which we met members of the independence movement, who were camping out in the Place da la Catalunya, which could be described as Barcelona’s equivalent of Trafalgar Square. We met with Edvard, whose English was near perfect, as was his guitar playing. 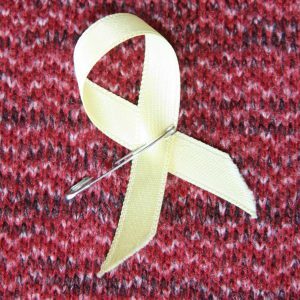 They were selling yellow ribbons to call for the release of political prisoners, who have been held for up to six months. Once Edvard knew we were from Scotland he was keen to exchange news and views. Regional conflicts in Spain are not rare, especially between the Basque territory and Madrid. The dispute was violent and the terrorist group Euskadi Ta Askatasuna (ETA) undertook a series of attacks to press their claim for independence. In January 2011 ETA ended their campaign and pledged that there would be a permanent ceasefire. independence movement has been involved in similar violence or terrorism. 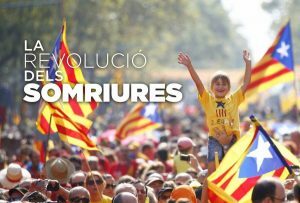 In spite if this Catalan politicians and students have been arrested for terrorist crimes and for sedition. Peaceful protests have been met with a police response which can only be described as brutality. We are surprised at the lack of condemnation of these actions by the international community, especially from the EU, the UK and the USA, countries which have been quick to condemn the subjugation of similar independence movements elsewhere in the world. I applaud the action of the Nordic Council, which, while not endorsing the call for independence, has called for a new government to be established to end the “tensions caused by the judicialization of politics”. The situation in Spain raises questions which also apply in the UK, especially those relating to how power is exercised in federal states. How should Westminster respond to the Scots desire to stay in the EU for example, given that the vote was 62% to 38% in favour. George Orwell, documenting his experiences in the Spanish Civil War. There is not a state of war in Spain, but unless the rights of individuals to free expression without the risk of internment, tensions could worsen. In a democracy sedition is not a crime. Let us hope for a peaceful resolution to the conflict.